Don’t let anybody talk you out of a good pair of running shoes—they’re vital to preventing injuries when you run. But generally, when it comes to picking out kicks to run in, most runners and athletic shoe stores are primarily concerned with fit. If you go for a fitting, usually a specialist will have you run on a treadmill so they can analyse what type of runner you are, and what kind of shoe will best suit your gait. So far, tracking metrics and form have mostly been the domain of wrist-based fitness bands and smartwatches. That’s not to say smart trainers for runners don’t exist. They most definitely do, but they’re still a relatively new category, only really popping up over the last few years with Under Armour as the most recognisable player in the game. I’ve tried a pair of the Altra Torin IQ before, and the experience left me sceptical about the overall value of smart shoes. They promise to track things like stride, cadence, and even how your foot hits the pavement to improve your form. Some even boast companion apps that promise real-time coaching. This all sounds nice in theory, but in reality, they just don’t offer the same versatility or value as wrist-based trackers. For the most part, I’ve found smart shoes too expensive for what they offer, limited by spotty Bluetooth connectivity, and they simply just don’t come in enough varieties to suit every type of runner. Don't like: No real-time coaching. Seems sort of unnecessary. 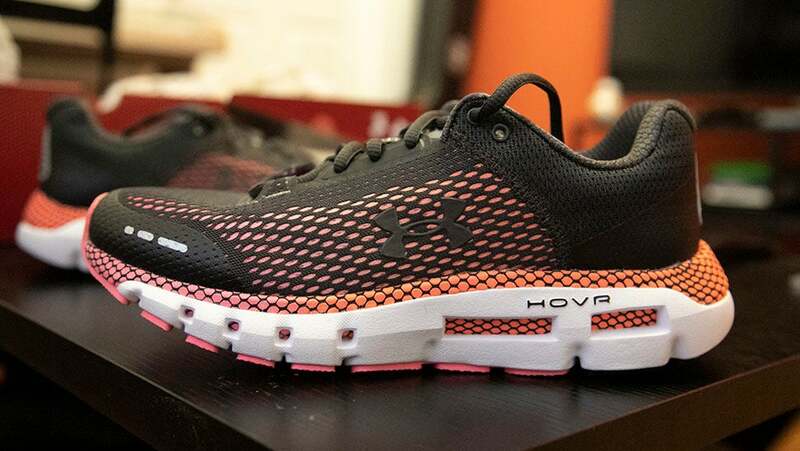 So I was extremely sceptical when Under Armour released its HOVR line of running shoes last year. And I was even more dubious when the company doubled down on the concept for 2019 with a few new models and “personal gait coaching”—basically customised insights into your gait and stride length. That said, after about a week of testing, I have to admit that Under Armour may be onto something. While Under Armour has several trainers in the HOVR line, I tested a model called Infinite. It’s meant to be a “neutral cushion” shoe designed for durability, as opposed to speed or extra cushioning. Sort of an all-around trainer, if you will. There are other options, like the Guardian for those who need extra stability, and the Velociti 2 for runners who prefer more lightweight, streamlined shoes geared for speed. At a recent briefing, Under Armour emphasised all the tech and research that went into making the shoe. Things like a “soft yet responsive” foam, high-abrasion rubber in the heels, gender-specific construction in the sockliner, as well as tighter mesh and 3D moulded heel counters. As far as I can tell, after about six miles of running, the marketing gobbledygook isn’t all bluster—the Infinite shoes are quite comfortable to run in. And, visually, I don’t hate the ombre pink-and-orange mixed with black mesh design. But I was much more interested in the connected aspect of the shoe. 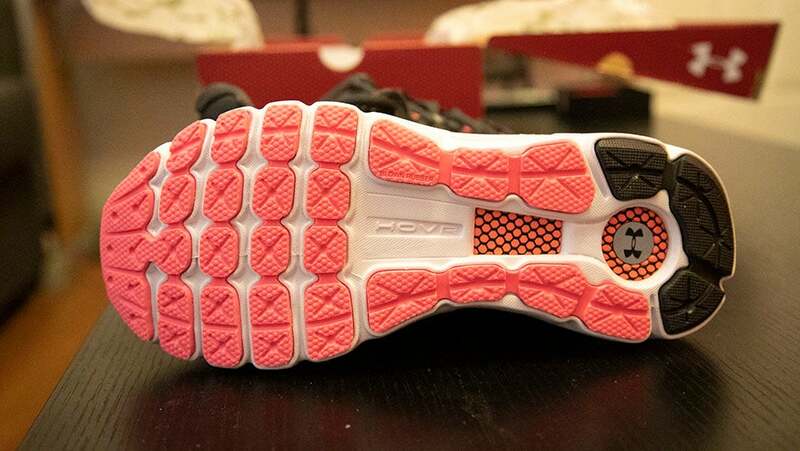 The right shoe of every pair of HOVR shoes contains a chip that connects with the Map My Run app (also owned by Under Armour). With it, you can keep track of metrics like distance, pace, splits, cadence, and stride length. Impressive, but not all that special considering you can track those metrics with an Apple Watch, Garmin tracker, or Fitbit. 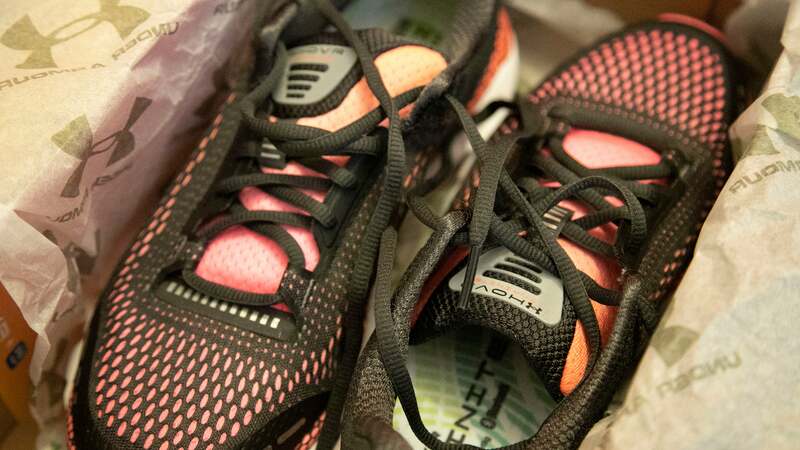 More intriguing was the promise that these shoes would be able to work on treadmill runs, as well as provide personalised gait coaching. After opening the Map My Run app and pairing the shoes over Bluetooth, you can track your run—indoor or outdoor—normally. Once you’ve completed a run of at least one mile, you’ll be able to see personalised insights about the way you run, based on the data collected by your shoe. For instance, the Infinite was able to tell that my stride length during a two-mile run was about 65.3 inches. It then said I ought to aim for a target range of 60 to 69 inches for the pace I was running at. While stride length is something you can input on wrist-based wearables for more accurate readings, it’s not something that’s exactly easy to measure for yourself. It usually involves maths, in the form of dividing your total distance by the number of steps. With the HOVR shoes, however, Under Armour automatically calculates that for you. The app also gives you useful insights about what percentage of your steps per run were within the target range. I nailed my range on 68 per cent of my strides on my first run and slightly worse on subsequent runs. (In my defence, it’s been extremely cold this winter.). You can also monitor your stride length over time. I only managed to do a handful of test runs over the course of a week, but it’d be interesting to periodically check in on this data over time in relation to training regimens and distance. But even so, I did find the suggestions helpful, and it made me more mindful of my form when I laced up before a run. One feature that’s missing compared to competitor products is real-time guidance. 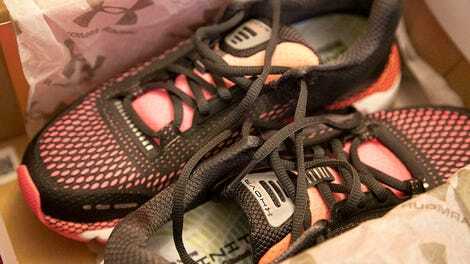 Under Armour provides all of its insights after the fact, and it would be nice to be told while I’m running if I should adjust my stride or cadence. That said, I’ve run with Bluetooth-connected smart trainers before, namely the Altra Torin IQ. 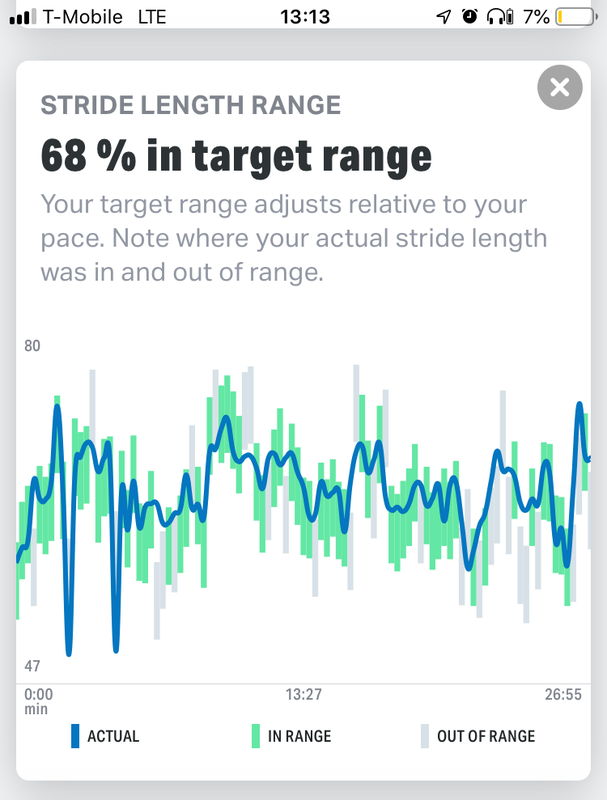 While they were comfortable, the real-time coaching was often out of sync due to connectivity issues, and in-app feedback on my foot strike and cadence was wonky as hell. Experientially, I feel Under Armour made the right choice to work within Bluetooth’s limitations. But at the same time, it meant that I couldn’t make any improvements until my next run. Price-wise, however, the Infinite are well priced at £120. More expensive running shoes (without any embedded smart tech) can set you back more than £200, though, it’s not unreasonable to spend somewhere between $90-$150 for a good pair. Meanwhile, the Altra Torin IQ trainers I tried retail for £160, while the Arion insoles and footpods start at €199 (£175). All in all, does anyone need smart trainers? If you’re a beginner with no idea about proper cadence or stride, it’s not a bad investment. In the long run, it’ll save you a lot of grief in the form of shin splints and rolled ankles. Same goes for grizzled veteran runners looking for any edge to improve their training. But if you’re a casual runner who knows the basics and your running shoes aren’t in dire need of replacement? Whatever you’ve got is probably fine. Reasonably priced at £120, especially compared to competitor trainera. Real-time coaching would have been nice, but I’ll take after-workout insights over a crappy Bluetooth experience.